A historical archive of all things random. 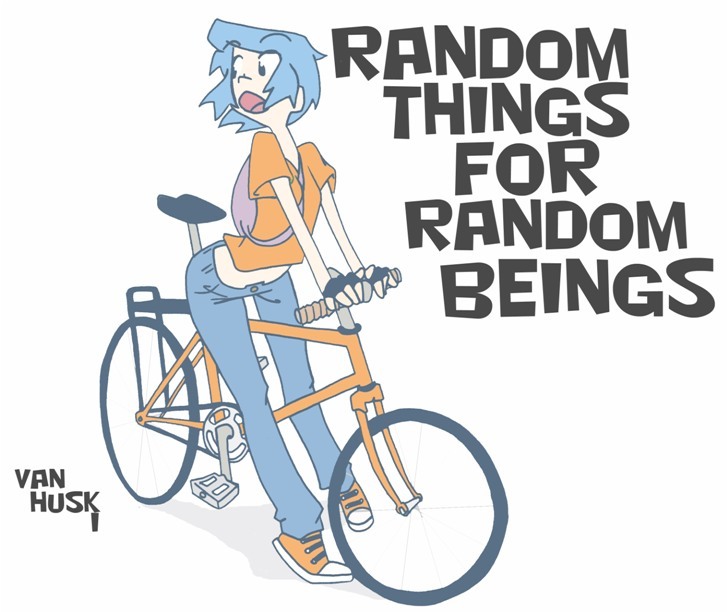 The cover of my webseries debut, "Random Things For Random Beings." ooooooh so cool. Nice shoes damn i need to practice i need to practice so much. Great pose. Her bike seat seems a bit high however. Fantastic opening page, your art is incredibly engaging, I love how expressive it is, not just in her face either, the entirety of her body is loaded with character.